Customer satisfaction? Check. Increased efficiency and consistency? Check. Measured management effectiveness? Double check. The long and arduous ISO 9001 review process is over with Lexco Cable and Lexco Bike being awarded the coveted prize: ISO 9001:2008 certification. "Obviously, we are very pleased with the results," says Neal Karbin, Lexco Cable Vice-President. "With ISO 9001 certification, we will be able to do business with other ISO 9001 certified businesses more efficiently, and will actually be able to pursue more contracts with ISO 9001 companies. Plus, businesses can now be assured that our customer service and management effectiveness is actually measured and based on fact and not feelings." 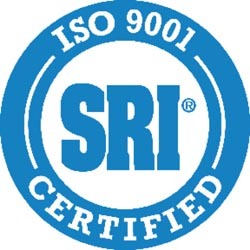 According to SRI Quality System Registrar, the certification entity: "ISO 9001:2008 is process-based; certification recognizes organizations that can link business objectives with operating effectiveness. Companies that achieve management system certification to ISO 9001:2008 have demonstrated effective implementation of documentation and records management, top management's commitment to their customers, establishment of clear policy, good planning and implementation, good resource management, efficient process control, measurement and analysis. Continual improvement has been institutionalized." Companies that go through the ISO 9001:2008 Quality Management Standards certification process have given a lot of thought to their processes and how to maximize quality and efficiency. Once certified for QMS, the processes are established and guidelines in place for anyone to follow easily, making training, transitions, and trouble-shooting easier. "Everyone here at Lexco really bought into the certification process," says Karbin. "For the factory floor employees we translated everything into Spanish and held the training classes in Spanish. After the training, the workers were eager to display their newfound knowledge and put it to good use. One employee had to leave early during the certification audit but made sure the SRI Registrar Auditor tested him before he left. Another employee left due to illness but asked if the auditor could come back. All in all, it was an amazing process and it made our company that much better."